The Roland SPD::ONE WAV PAD is a new type of digital percussion pad, one that allows any musician to perform with their own sounds and samples. Importing audio files is as simple as connecting the SPD::ONE WAV PAD to a PC or Mac and dragging your WAV files into the drive that appears. Brand new CY-8 from TD-17 Kit. The Roland SPD::ONE KICK is a new type of digital percussion pad, one that allows any musician to add genuine kick drum and percussion sounds to their performances. It contains 22 realistic percussion sounds, including kick drums, stomp box, shakers, cowbells, and more, and you can even import your own original audio data into one of the 12 internal sound banks. You can also choke the CY8 with your hands, as you would an acoustic crash cymbal; this adds to the realism.A TRS connector cable is included for hooking the cymbal into your drum module. The CY-8 from Roland is a dual-trigger cymbal pad ideal for use as a crash cymbal. When the NE-1 is used in combination with NE-10 units placed under kick and hi-hat pedals, these products provide a simple and convenient way for users in multi-level buildings to enjoy V-Drums freely without disturbing people occupying rooms or dwellings below. The tools we use to compose and produce music are dear to our hearts. The Decksaver Roland SPD-SX cover slides straight into a flight or soft case for maximum protection during transportation. Decksaver Roland SPD-SX Cover Features. The PDX-6 is the smallest of the Roland V-Pads. It’s the successor to the PDS-15, and features a newly improved angle clamp that provides 200 degrees of tilt. No piezo or wire. This cone can be used on a 35mm or 27mm piezo. These cones can be cut to fit your specific project. Vacation block out periods will be highlighted. They are compatible with most, if not all electronic drums. And if you’re daunted by the prospect of a hybrid setup, rest assured that it’s simple to incorporate this compact module into your acoustic kit—with no extra gear—transform your snare and tom into versatile digital pads. You’ve got an electronic kit. You’re using headphones. Roland’s new KT-9 Kick Trigger Pedal is the answer. With the KT-9 under your foot, you can go as hard as you like, as late as you want. Discover the Power of HandSonic. You strike the pads to play sounds, of course, but you can also touch or press a pad to dampen or mute another pad’s tone, adjust its pitch, and more. This lets you execute traditional acoustic hand percussion techniques with authentic results, and also create dynamic, unique textures that are perfect for electronic dance music and other modern styles. GearNuts has the ideal solution: Roland's NE-10 Noise Eater sound isolation board. Noise Eater NE-10 Sound Isolation Board. For toms, snare and hi-hat, Roland includes the newly created PD-8 rubber pads with dual-trigger support for playing rim shots and bow/edge sounds with most V-Drums modules. Roland TD-17KVX V-Drum kit NEW! Bluetooth connect, Upgraded Cymbals pads! Two crash cymbals and expansion possibilities support your individual playing style and performance. WE ARE AN AUTHORIZED ROLAND DEALER. FULL MANUFACTURER'S WARRANTY INCLUDED. When you’re serious about drumming, you need a kit to match your ambition. So here's the answer, hand-fabricated by drumzrus and tested to work better than the Roland counterpart. If your locale is not correctly displayed, change to your country, or zip code within the US, and hit the "Get Rates" button. Roland TD50KVXS w/ one TD-50, one KD-220-BC, one PD-140DS, one PD-108-BC, two PD-128-BC, one VH-13, one CY-14C, one CY-15R, one CY-18DR, one MDS-50KV(with internal cable harness), three pad mounts, three cymbal mounts & one module mount. Roland KT-10 Electronic Kick Trigger Pedal. 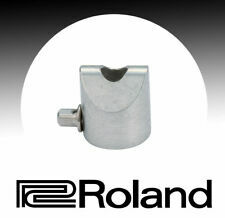 Roland RT-3T Tom Trigger New! Free Shipping! 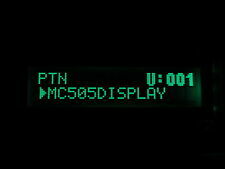 Ideal for use with Roland TMC-6 MIDI Converter. Works directly with Roland V-Drum modules and SPD series pads. Superior sensor construction maintains natural acoustic sound. Rock-solid construction built to withstand aggressive playing. Module mount from MDS-25 rack. Should work with any Roland drum module. Original factory OEM Roland parts. Looks like new with no wear. What you see in the picture is exactly what you get. This allows users in multi-level buildings to enjoy V-Drums freely without disturbing people occupying rooms or dwellings below. The NE-10 Noise Eater is very easy and convenient to use, with a compact, low-profile design that doesn’t affect feel or playability. We hope that you love and enjoy the gear from us here at Explorers Percussion.